One of the best things about caravanning with kids is that there’s very little space for them to create mess. Likewise, one of the worst things about caravanning with kids is that this tiny space gets cluttered very quickly. Five years into our caravan adventures with babies, toddlers and now school-aged kids, we have added to the caravan accessories we use to organise and tidy our Tin Box. 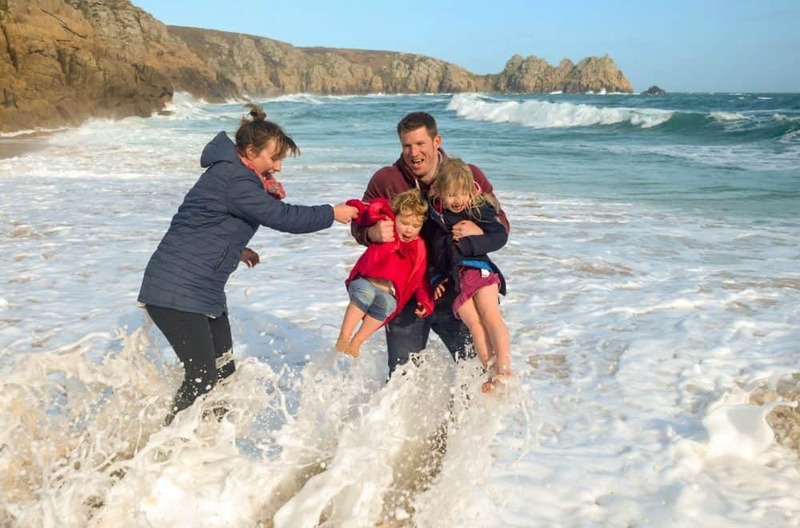 Here are some of my top tips for caravan accessories you should invest in whether you tour with children, teens or just as a couple. Caravan curtains flap about when you are on the road. My mum and dad, who owned our caravan before us, came up with the great idea of adding VELCRO® Brand Stick On For Fabrics strips to the curtain ties and window frame so they sit neatly in place. We don’t store our caravan at home so giving it a good clean after a holiday is a bit of an operation. One piece of kit that makes this easier is our cordless HandiMate 10.8v Handheld Vacuum Cleaner. Everyone likes to give their home away from home a personal touch, but knocking nails into caravan walls isn’t always an option – especially if they are water tight outer walls. VELCRO® Brand Stick On Squares can hold up to 750g. They are plenty strong enough for pictures to add character to plain walls. Nine times out of 10 the kids fling off their shoes in all directions. But we are slowly getting them used to putting them in a sensible place so they can quickly get on with playing outside next time they need them. We have an awning organiser with pockets for a few small items like books, a torch and the dog’s lead as well as shoes. We have fitted a few wire racks into our kitchen cupboards to keep condiment bottles, tins and packet food organised. You can also add these to bathroom cupboards to organise toiletries. Another thing in our caravan that is known to flap around when were are towing is our folding shower door. We hold this securely in place with a VELCRO® Brand Wide Strap. I’ve found straw baskets that are the width of the small overhead lockers in our bedroom area. I use these as draws to separate underwear and smaller items of the kids’ clothing, making them easier to grab each morning. We have a fixed bed but the girls have sleeping bags that we roll out on the benches at the front of our caravan at night. A top tip for packing away bulky bedding in the morning is to use VELCRO® Brand Stretch Straps to keep rolled duvets or sleeping bags together before you stow them in a locker. We tend to bring a lot of tech on our caravanning holidays. Phone charger cables, camera leads and all sorts of spare wires that Mr Tin Box loves to collect get tangled if they are not organised. We (read Mr Tin Box) use VELCRO® Brand ONE-WRAP® Ties to keep neatly coiled cables organised in a clear plastic box. What caravanning accessories do you use to keep your caravan tidy? I’d love to hear your tips. 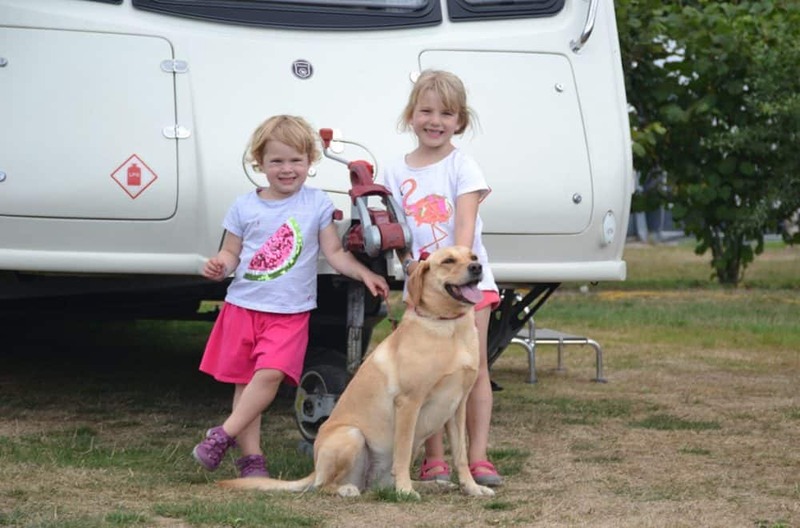 If you’d like more caravanning advice then I have plenty of tips on the things you need for caravanning with babies or caravanning with toddlers. Plus check out my camping games blog post for more fun things you should pack for outdoor holidays. Disclosure: this is a collaboration with Velcro Companies.